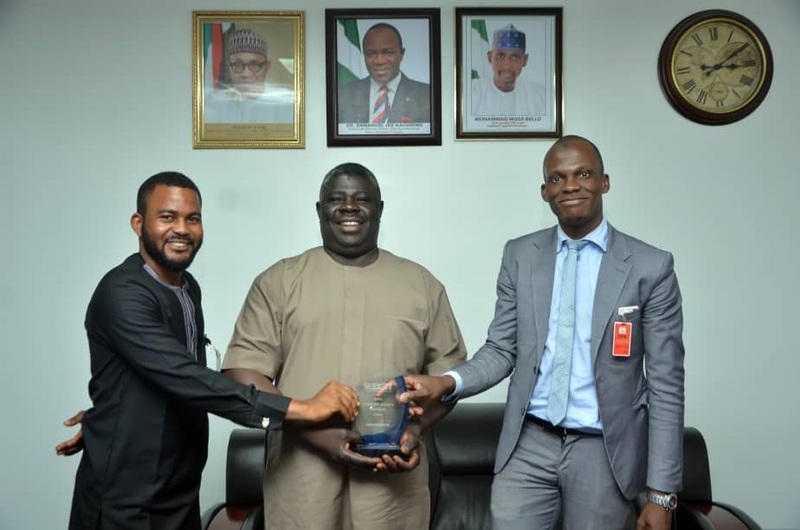 The Director of Petroleum Resources, DPR, Mr. Mordecai Danteni Baba Ladan has received an award for “Commendable Leadership in the Public Sector” from TEXEM UK. The award which was presented to the Director in Abuja, is in recognition of the Directors outstanding contributions, inspiring regulatory leadership policies, interventions and stakeholder engagement with industry players in the Nigerian oil and gas industry. While Presenting the award on behalf of the Advisory Board of TEXEM UK, the Chief Executive Officer (CEO) Dr. Alim Abubakre eschewed the exemplary leadership and huge success of Mr. Ladan in the Nigerian oil and gas sector. He congratulated the Director for emerging as the winner of the award while informing the methodology of the selection process by a team of professionals, who shortlisted 60 distinguished leaders from a pool of 400 nominations by the public based on track record, professionalism and comparison with peers in the award category. Mr. Ladan emerged winner from a proned list of three finalists. Accepting the award from the CEO of TEXEM UK Dr. Alim Abubakre, the Director thanked the delegation and organization for the special recognition and reiterated his commitment to exceed the expectations of stakeholders in the delivery of the Department’s regulatory mandate for the oil and gas industry, while entrenching accountability and transparency in meeting Government’s objectives and aspirations.